Today’s mystery takes us back downtown to a well known landmark building. “Historic”, you might say. The small cherub is a common theme in the Monday Mystery series and on Milwaukee buildings but this one is a little different than most we have had in the past. Who can be the first to guess where this guy is? 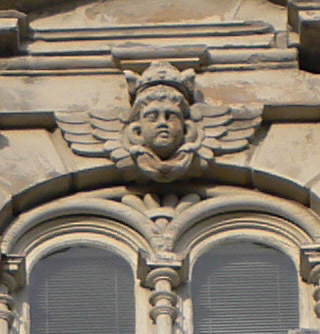 This week’s mystery face is on the Mitchell Building!